Many of us realize that there is a gap between what yoga teachers know of anatomy and how they apply it to prevent and address injury among the growing population of yoga students. The increased attention on yoga-related injury and the use of yoga for post-injury rehabilitation spotlights the differences in knowledge between an average yoga teacher and one who can identify, assess, address, and prevent injuries. 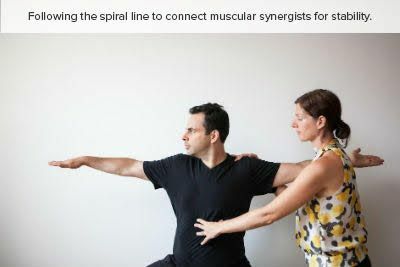 Our proposed solution to this disparity is an asana-based movement assessment rooted in science to uncover suboptimal movement patterns in relationship to applied anatomy and human movement (kinesiology). Improved yoga teacher education will heighten awareness and deepen knowledge of this applied anatomy and kinesiology in order to detect root injury causes and design optimal asana movement patterns. 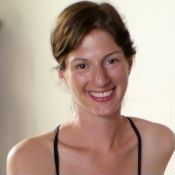 Diana Zotos Florio (me) and my partner in Physiyoga Global™, Helen O’Neill, would like to share our opinions based upon our wealth of experience blending physical therapy and yoga asana in order to improve and benefit human movement performance. 1. Know the history and presentation of the student’s injury. Yoga teachers are the frontline for an injured student. The teacher is often the first person they ask about their injury and how to address it. In order to give appropriate and intelligent guidance with recommendations, the teacher should obtain certain essential information. First, knowing the history and nature of a student’s pain can provide valuable information about the type of injury, and whether or not continued practice is appropriate. These questions include: When did the pain start? Is it better or worse with exercise? What is the nature of the pain (e.g., sharp or achy)? Are there pins and needles associated with the pain? What is the intensity on a scale of 1 to 10? Yoga teachers are the frontline for an injured student. The teacher is often the first person they ask about their injury and how to address it. From these answers, a knowledgeable teacher can advise the student whether to avoid asana, seek immediate medical attention, or simply take it easy in class with a few specific modifications. For example, if a student complains of worsening hip pain that started 3 months ago, is sharp in nature, and doesn’t improve with movement, it's possible the student may have a hip joint injury with or without damage to the surrounding cartilage and soft tissue. Understanding the severity, intensity, and nature of the pain is essential. In this case, the student should be advised not to participate in asana practice and to see a physical therapist or physician. This may well shorten the overall duration of injury. It will also likely enhance the student/teacher relationship, as it is vital that the student be able to trust the teacher’s opinion regarding pain or injury during practice. 2. Explain what is happening when common yoga injuries occur. With yoga having attained a significant place in the world of movement and wellness, it is essential that the yoga teacher community maintains a working knowledge of common yoga injuries. Currently, most RYT 200-hour certifications include only 20 hours of anatomy and physiology education, with only 10 of those hours considered “contact time.” That’s just enough to cover the basics. Basic anatomy and physiology concepts are difficult to incorporate into one-on-one yoga sessions or group classes. Applying this knowledge to human movement during yoga practice means explaining how one or two joints and surrounding muscles should optimally be functioning during a pose (local interactions), and/or how they are affecting the rest of the body (global interactions). This will improve safety and the students' understanding of practice. Because student injuries are common, it’s critical that teachers become familiar with the pathophysiology of yoga injury (i.e., what common yoga injuries are and how they are caused). In order to understand the injury and healing process, the teacher needs to know how the human body links together; how muscles contract to move joints; how the shape of a joint dictates which movements are possible and safe (and which are not); and how joints can be affected by movements and restrictions elsewhere in the body. Whether or not your students report it fully, many yoga practitioners feel discomfort or pain. Students may intentionally push through pain, or be told to go to their limit, breathe, then go further. There is “good pain” and “bad pain,” though it's sometimes hard to differentiate. Pushing through bad pain almost always leads to injury. The sensation of muscle elongation is different from that of ligament or joint capsule stretching, and it's also different from scar tissue restriction. To address pain accurately, teachers should be encouraged to delve deeper and investigate the source of the pain before giving cues and modifications. Being cautious about long holds and repetitive postures is also essential in the presence of discomfort and pain. Whether or not your students report it fully, many yoga practitioners feel discomfort or pain. Pain is relative, individual, and complicated. In addition to mechanical complications that may elicit pain, other contributors may include emotional stress, nutritional status, “type A” personality, and other social factors (globally known as biopsychosocial factors). A teacher should be aware of these issues and how they can be involved in various amounts when someone is in pain; each one may be compounding the other, which ultimately could lead to a vicious circle of pain and dysfunction. Here arises an opportunity for the teacher to guide the student regarding the complexities of their issues, that they may need several healthcare practitioners to cooperate in order to get the best results and eventually sort out the root cause of their problem once and for all. 3. Assess the root musculoskeletal cause of injury. Most yoga teachers have a keen sense of body awareness, are great at teaching movement, and know what “good” movement looks like during asana. Perhaps what is lacking is an asana-based movement assessment to evaluate patterns. This can pick up any dysfunctional and suboptimal movement. With appropriate training in anatomy, biomechanics, and kinesiology, teachers could use this tool to assess movement that may contribute to injury. Most injuries are the result of repeated stress to an area. If the body is moving in an aligned, supported, and fluid way, injury should not happen during yoga class. However, if there is a breakdown in movement, a dysfunctional pattern, or improper alignment and load, some areas are exposed to improper muscle activation and support. If loaded irregularly and repetitively, this area will eventually become vulnerable to injury. Most yoga teachers have a keen sense of body awareness, are great at teaching movement, and know what “good” movement looks like during asana. For example, in high lunge, if the front foot is too flat or pronated, the knee tends to move inward toward the midline. This may draw the hip forward and internally rotate the femoral head. If we continue to follow this up the kinetic chain, we may see a subsequent twist in the pelvis and upper trunk. Repetitive loading in this pattern is likely to result in part of the chain eventually breaking down. A thorough asana-based assessment composed of a set of poses that test body movements in all planes, and those poses that students may have pain with, will provide valuable information regarding a student’s ability to stabilize, relative to their ability to move. The entire kinetic chain (the joints above and below those that are being assessed) must also be observed and tested for possible contribution to misalignment, dysfunction, and muscle recruitment. When assessing hip pain, a student experiencing sharp pain as well as limited range of movement in pigeon pose may have a bony variation, or an osteophyte, at the joint, either on the ball or the socket, which causes pain by impinging on structures around the hip (e.g., the cartilaginous labrum). A bony variation can cause restriction in the movement of the joint, often felt as pinching. If this student deepens in a hip-opening pose, the chances of causing injury increase. When pain occurs upon deepening a pose, and that pain cannot be improved by improving alignment, the best course of action is to start by referring the student to a physical therapist or physician. Bearing in mind that bony variations that will cause pinching are not that common, the feeling of sharp pain and limitation in pigeon could also be from others parts of the chain. For example, it may be being caused as a direct result of a rigid foot and ankle. The role of the foot and ankle is to sense where we are in space (proprioception) and send information to the rest of the body via receptors in the joints, soft tissue, and skin, as well as provide a stable but mobile foundation to our lower limb while standing, walking, and running. When the foot and ankle are rigid, proprioception is reduced, and the bony structures in the lower leg may become stiff as the musculature around them compress instead of lengthen. This restriction can result in compensatory movement higher up the chain in the hip and lower back. This stiffness lower down the chain may mechanically cause the femur to be held more forward in its socket, and therefore more likely to repetitively bump into the hip labrum during hip bending. The hip ball may therefore not stay centered in its socket either. In the case of our hip pain example, this demonstrates that pain may be caused either from a direct issue in the hip, or from an issue further away in the chain (in this case, the foot and ankle), or both. It is essential, therefore, that the whole chain is assessed and addressed along with any local hip treatment. 4. Address the root cause of the pain. Sometimes an injury results directly from trauma (acute injury, a fall, or a crash, for example). These injuries, in many ways, may be easier to deal with because the cause of the injury is known. If treated early, the entire body may then not need to be assessed for changes in movement pattern. A chronic or repetitive stress injury in yoga requires us to address the movement patterns in the joint and surrounding muscles. The body is a closed system, with all parts, tissues, tendons, muscles, and ligaments part of one package. Think of it like the bare bones of a skyscraper, with the foundation of the building and its structure directly influencing the 100th floor. In movement assessment, it's important to consider the foot in relationship to the hip. A change in a student's foot structure may cause them to adopt and use suboptimal movement mechanics, which then directly affect the hip joint. To investigate the root cause of such an injury, it is essential to observe the entire body in stillness and during movement. Maintaining healthy joints involves good stability and control so that each joint is working in an optimal position and has a balanced team of muscles supporting it. In the case of the hip, we're working with a ball-and-socket joint. An optimal ball-and-socket joint should be centered both while stationary and, more importantly, when in motion. During optimal movement at the hip, for example, the muscles contract and relax around the joint as required to maintain the ball in the center. Just as each beam and support within a skyscraper plays its own role, the muscles are a team, and each has its own balancing role to play. When the joint is not centered it will stress the surrounding muscles, ligaments, and soft tissue, and the teamwork falls apart, allowing for some muscles to become dominant and others dangerously unable to carry load or function as it should. Centering a joint by focusing solely on that joint may work while standing still or in a static pose like downward dog. But once we move to transition, the joint may lose its centering as a result of the chain mechanics. This may be because the foundation of the building (which, you will remember, directly affects the 100th floor) has not been addressed and corrected. If the foundation collapses, the 100th floor drops as well—and the joint may lose its centering. This is where stability comes in. To optimize a movement pattern, stability in the foundation needs to be prioritized. Once achieved, moving up the body “floor by floor,” we can lengthen to find space in the joints, engage the correct muscles to stabilize the joints, and eventually move in a coordinated pattern that is safe, strong, and free. Fix the base, then fix the floors, then move, keeping the base stacked, while keeping the 100th floor stacked. From a yoga perspective, once the joint is stabilized from above and below and can be kept centered during movement, the student can be guided safely into a progression. From the findings of the movement assessment, the teacher can then offer intelligent and relevant modifications and cues. We must also remember that there is a scale of mobility for all students, from extremely hypermobile (when some or all of a person’s joints have an unusually large range of movement) to hypomobile (decreased range of movement in one or more joints in a person’s body). The more mobile a student is, the more likely they are to push their muscles and joints beyond end-range in the effort to feel “stable.” The more stiff a student is, the more likely they will rest into a joint for stability, or move using the only mobile segment of the chain that they have. Both scenarios very often lead to breakdown of the body somewhere in the system. A teacher must be aware of this when teaching. Ideally, a thorough movement assessment based in asana that guides the teacher to observe these movements will prevent overuse or repetitive stress injuries. From the findings of the movement assessment, the teacher can then offer intelligent and relevant modifications and cues. 5. Provide specific and correct modifications and cues to keep the student safe on and off the mat. Using the asana-based assessment, a yoga teacher can offer students intelligent and relevant modifications and cues in a one-to-one setting. The teacher can break down poor movement patterns, find the root cause as well as secondary compensatory patterns, and start their work from an informed position. The final part of this teaching should be the integration of these new neuromuscular patterns into both asana and functional daily activities. Teachers can then address what is required and reprogram how students use their bodies on and off the mat. During this process, a student’s pain may resolve itself and may not even require further treatment. This is harder to do in a group class setting. Knowing the underlying anatomical and physiological actions of cues to give as a teacher can set the stage for a smarter, more preventative experience in class. Each student may internalize the cue “wrap the right hip under you” in side angle pose differently. There is too much room for interpretation. Sending a clearer message by teaching them how to first activate their hips’ lateral rotators in an isolated way may be more beneficial in reducing variability. This could be done in a four-point kneeling position (tabletop) to start with. The student is then guided back to side angle and reminded of that same action. The cue to “fire your glutes while rotating your thigh bone to the right and moving your pelvis to the left” is much stronger and accurate to elicit the response desired. This retrains the neuromuscular patterning of the hip to be more centered, stable, and in control when under load or stress. This newly found pattern, while being learned and practiced on the mat, can then be used off the mat. Each student may internalize the cue “wrap the right hip under you” in side angle pose differently. Yoga, if practiced specifically and progressively like this time and time again, becomes the perfect tool for reprogramming these new improved patterns—patterns which then become more likely to be accessed (initially consciously, and eventually subconsciously) in functional daily tasks such as picking up a child, digging in the garden, or walking up a mountain. And this is where the power of yoga for rehabilitation lies. Using an asana-based assessment rooted in science to identify suboptimal patterns is essential for helping yoga teachers to become more competent and confident both teaching students with injury, and preventing injury in the first place. The yoga teaching community’s willingness to improve the knowledge and understanding of applied human movement will enable students to safely practice asana and to find stability for their mobility.